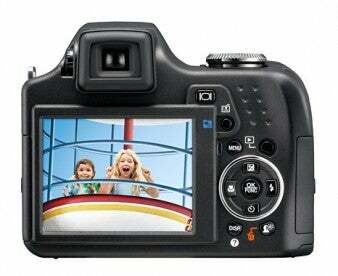 Just days ago, Kodak launched a DSLR style camera with a 24x optical zoom. Well Olympus has decided to go one better. Amongst a whooping nine launches today is the SP-590UZ, with a 26x optical zoom and the ability to take 10 shots per second. 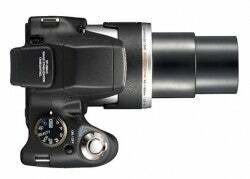 Also worth a mention are the 130x optional TCON-17N Teleconverter, which boosts the power of the lens up to 130x, then there’s the camera’s 2.7 inch HyperCrystal II LCD and 18 built-in shooting modes. Face Detection of up to 16 persons, built-in flash and wireless flash control directly from the camera body and movie recording at 30fps. The Olympus SP-590UZ is compatible with both xD-Picture Card and microSD cards too and can shoot RAW files. No price as yet but we’ll bring you an update as soon as possible.